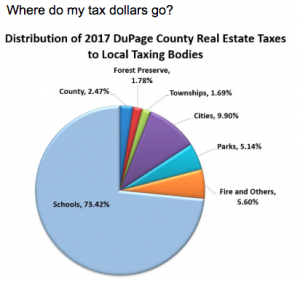 Currently viewing the category: "Assessor"
The 2017 tax bills will be mailed Friday, April 27th, 2018 by the DuPage County Treasurer. Tax bill payments are due June 1st & August 31st, 2018. Downers Grove Township houses the Fish Food Pantry within our building. This non-profit organization provides much needed food and clothing and has been in existence for almost 48 years, 32 of those years at the township.